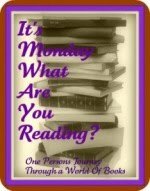 Coffee and a Book Chick: Monday, Monday! And...Who Won the My Lost Daughter Giveaway? Monday, Monday! And...Who Won the My Lost Daughter Giveaway? Thank you to all of the fabulous hosts for Mailbox Monday! Originally created by The Printed Page, and hosted in September by BermudaOnion. Thanks to BookJourney as well! I'm still trying to recover from the Saturday visit to the fantastic SIBA Trade Show held this year in Daytona Beach! And by recover, I mean in the sense that I now have 47 books and I don't know where to start... It was an incredible event, and I met 4 fantastic fellow bloggers! In the mail, I got Dracula in Love , by Karen Essex (I got this a little bit ago, but forgot to include this on a recent post -- I won this from A Library of My Own -- thanks, Amanda! ), A Northern Light , by Jennifer Donnelly, The Last Child , by John Hart, Three Wishes , by Liane Moriarty, The Drowning Tree, by Carol Goodman, and Your Roots Are Showing , by Elise Chidley. Six more books! Now, what do I start with? Right now, I'm finishing up my write up for Repairing Rainbows, complete with an author interview with Lynda Fishman, and hopefully posting it tomorrow. A self-published memoir, and one to really read and reflect on life. Congratulations!! Please make sure to send me your mailing address by 3 pm EST on Wednesday, September 29, 2010 - I'll mail the copy out to you right away! I know how you feel - I'm still trying to recover too. I've heard John Hart's books are amazing. Congratulations to the winners! Wow! Your trade show haul is amazing! I know what you mean about balancing work, blogging and reading! I could seriously spend the entire day reading and reviewing! A friend reccomended A Northern Light to me a while ago, but I never got around to reading it. Enjoy! I really enjoyed Dracula in Love...great stack of books! Congrats to the winners and the books look great! Loved looking at the SIBA pics and the event unfolding before our eyes. Have a great read and can't wait to hear your thoughts on Dracula in Love. Great stack of books! Thanks for mentioning me :) I'm curious about A Northern Light...I should pick that one up. Wow, looks like you had a great time at that trade show! I hope you enjoy all your books! I just received a copy of The Last Child from a friend who said it was very good! Your stack of 47 books is quite amazing. That must be so much fun to meet up with other bloggers at a book convention. With all those books how will you pick which one to start with? I loved A Northern Light! I also read and reviewed The Drowning Tree not long ago. Have a great week! I loved A Northern Light, I can't wait for her newest one. Enjoy your new books! I heard really good things on Dracula in Love - enough that it's on my wishlist! I really hope you enjoy it too. Happy Reading! Dracula in Love looks pretty cool (really love the cover) - hope you enjoy! How fun - I love bookish events! That is a wonderful stack of books you have from the trade show! I'm jealous. A friend just lent me her copy of The Last Child and said it was very good. Happy reading. A gazillion books in one day sounds wonderful! Lots of interesting titles there. I recently read The Last Child and loved it. Hope you enjoy all your reading this week. Great mailbox. I really liked Your Roots are Showing. Enjoy!! What a nice stack of books. Enjoy! Some of those look like amazing reads, and I will be interested to check back and see what you think of them! Also, congratulations to your winners! Start with the Goodman! It's a great read. I know a lot of people who've raved about the Hart book but I didn't really like it. Anyway, hope you enjoy all of your books!